Stream times included, as well as a special gift for those who attend! 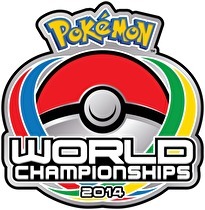 The Pokémon World Championship schedule has been released, and those who attend the event will receive a special pokémon. Those who go to the event, which runs August 16-17 in Washington, DC, will receive a level 50 Aegislash. This special event pokémon will know Wide Guard, King's Shield, Shadow Ball and Flash Cannon. Furthermore, it will be holding the Sitrus Berry when distributed. Europe will just have to wait to track this treasure. 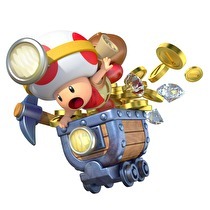 Captain Toad: Treasure Tracker has been delayed to January 2015 in Europe, Nintendo confirmed today. They confirmed this news via their financial report, which also came out today. The game originally had a Winter 2014 release date in the region before being delayed. That is still the release date for North America and Japan as of this writing. That little electric mouse really gets around. 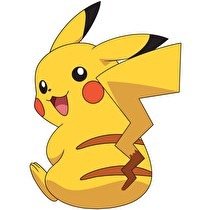 From August 9 to 17, visitors to the area can download Pikachu to Pokémon X or Y. This special Pokémon will have a different nickname depending on what part of the park it was downloaded in. Curve Studios is bringing the survival horror game to Wii U, along with a friend. 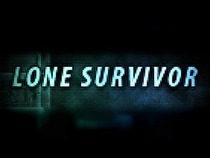 Lone Survivor, the survival horror game with PC and PlayStation roots from Curve Studios, is heading to Wii U later this year. The studio, which announced it was bringing Stealth Inc. 2 to Nintendo's console in the coming days, also teased an unannounced game which it has in the works. It’s not confirmed to be coming to Wii U, though Two Tribes noted in a tweet that an eShop release on the platform is a “definite possibility.” A 3DS version is not in the cards, though. The developer said the handheld “can’t handle” the game. The original Trine is getting a facelift and a new home. Trine Enchanted Edition is coming to Wii U at an unspecified point in the future. The Enchanted Edition of Trine is a facelift of the original Trine which includes added features such as online multiplayer and mid-level saving. These features were present in Trine 2, which was one of the original launch titles for Nintendo's Wii U eShop. Square Enix’s 3DS JRPG is a bona fide sales hit. Bravely Default, the 3DS role-playing game published by Square Enix, has sold a million units worldwide since first hitting Japanese store shelves back in October 2012, according to a report from Dengeki Online. The makers of Mutant Mudds and Moon Chronicles are up to something new. 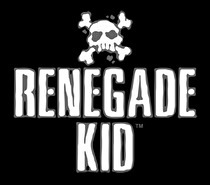 Renegade Kid's latest project for the 3DS eShop will be unveiled Monday, August 4, exclusively via GoNintendo. The development studio was responsible for one of the early indie success stories of the eShop, Mutant Mudds, along with a handful of other titles on the platform. Their most recent release was the initial installment in the ongoing episodic first-person shooter Moon Chronicles. The first new Metroid product from the company in nearly four years. Two new Light Suit Samus statues have just been put up for pre-order from high end figure manufacturer First 4 Figures. The figures are part of a new 1/4th scale line and are the first Metroid figures produced by First 4 Figures in nearly four years. Want both versions? Activision has just the deal for you! Customers who purchase Skylanders Trap Team for the Wii will receive a download code for the game on Wii U at no additional cost. This comes from the official Skylanders Twitter account, via a Tweet released on July 23. Take this Famicom game with you on the go! The Famicom classic The Mysterious Murasame Castle will be coming to the North American Virtual Console for Nintendo 3DS on August 7, according to Nintendo's live stream at San Diego Comic-Con. The title will come to Nintendo 3DS eShop on August 7, though no price was released for the moment. Europe got the title at the end of May and has to pay currently €4.99/£4.49 for a copy, which is similar to other NES titles in the region. That is one stable 3DS. The 3DS has recently received another minor update, Verison 8.1.0-18U. Just as every update, it improves system stability and usability, with minor adjustments to enhance the user experience. These well-loved digital titles will be an on-disc twofer. NES Remix Pack will release this holiday season as a physical bundle containing NES Remix and NES Remix 2, Nintendo announced at San Diego Comic-Con this year. The package will be available in stores, though no price was mentioned in the announcement. Additionally, the first NES Remix is available for free to 2014 Club Nintendo Platinum Members until August 15. Curve Studios is porting the well-received indie puzzle platformer to Nintendo’s system. The Swapper, a highly-regarded 2D puzzle platformer created by Finland-based indie developer Facepalm games, is coming to Wii U.
Curve Studios, the developer of such titles as Fluidity and Stealth Inc. 2, is porting the game to Nintendo’s platform. Curve is also responsible for bringing the game to the PlayStation family of systems. The Swapper originally came out for PC in May 2013. Blast your way into this week's Download and master these fine games! After last week's very small offering of Nintendo Download goodness, we're back in form this week with a number of titles for both systems, including a few Virtual Console titles. This week's edition of the Nintendo Download is for everyone out there who followed their radioactive pet frog down a hole in the ground and found a white tank to shoot things with. A new payment option finally comes to Nintendo’s home console along with a free game enticing gamers to use their NFC payment cards. Nintendo has allowed for the use of NFC payment cards for purchases on Wii U in Japan. The cards, which are used in Japan as a means to scan for train fare or purchasing items at convenience stores, can be utilized by touching them against the NFC reader on the Wii U GamePad. Usable cards include Suica, Pasmo, Kitaca, Manaca, Toica, Icoca, Hayakaken, Nimoca and Sugoca. Who wouldn’t want to rush in with a gun-wielding raccoon? Guardians of the Galaxy will come to Disney Infinity 2.0: Marvel Superheroes this fall, joining The Avengers and Spider-Man Play Sets. In this Play Set, players will explore and protect Knowhere while being pursued by Ronan the Accuser and his Sakaaran fleet after having stolen a powerful cosmic object from him. The story will be based on both the upcoming film and comic series. It's Persona! On 3DS! and it is out this year! What more do you want? Persona Q: Shadow of the Labyrinth hits retail and the 3DS eShop on November 25 in North America. Developed by a combination of both the Persona and the Etrian Odyssey development team, Persona Q features the characters of Persona 3 and 4 in an all new story. While it shares the same type of combat as the Persona games, the Etrian Odyssey elements sink in with its first-person dungeon crawling. A trio of Ocarina of Time representatives have been revealed for the game, along with the return of Golden Skulltulas. Key Ocarina of Time cast members Sheik, Ruto, and Darunia have been confirmed by Famitsu as playable characters in the upcoming Wii U title, Hyrule Warriors. Get ready for some serious Tetrimino action. 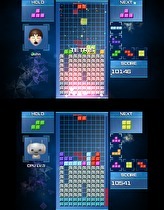 Tetris Ultimate will come to the 3DS this fall, Ubisoft announced this week. The game will feature six modes of gameplay: Marathon, Endless, Ultra, Sprint, Battle, Battle Ultimate and Challenge. Special power-ups, like Let it Rain and Buzz Saw, will add an additional layer of chaos to Battle Ultimate mode. Leaderboards will also be updated to showcase top players around the world as well as your friends’ best scores.